Say it with me. “I’m NOT Busy”. Not busy? Ha! It’s difficult, right? Because I know you ARE busy. Everyone is. But, it seems to me lately that everyone wants a piece of my time. And, I loathe the phrase, “I’m too busy”. Especially when I’m working with someone and their work is shoved on to me. The other day, I volunteered to help make calls to advertise for a local event coming up soon. The lady with the call list emailed me the lists of all past participants from last year and the year before. That’s well over 150 names. I called her and asked her if she would be making any calls. She said, “No, I’m just way too busy”. Pause….I took a deep breath, looked at my calendar and cringed. I was busy, too. How was I going to get all of these calls made, plus finish all of my work already on my to-do list? I paused again and took a deep breath. My feeling then, was anger. There are six ladies on this committee. Why did I have to do this entire tedious and time consuming task all by myself and waste my entire day? I took one more deep breath and wished SHE would have been thinking of my schedule. I wished SHE would have asked ME if I had time to call the whole entire two lists of people. I wished SHE would have put herself in my shoes. In my head, I thought of three possible ways that everyone on my committee would have been “not busy” enough to make phone calls or contacts. 1. Remember that EVERYONE is busy. Appreciate everyone’s schedule. Ask them if there would be something they could do to help you. If they are part of the committee or group, there must be a reason they have chosen to dedicate time to joining. Maybe they are actually hesitant to be involved. Think about how the words, “I’m too busy,” would affect them if they asked you for help with a task. It really offended me to hear she couldn’t help me because she was too busy. I’m wondering if there is a different, less offensive way to say it. One thing you can say is something like, “I have this time, this time, or this time available for an hour each”. Actually give the time allotments you have open for completing the task. 2. Share tedious tasks, such as call lists. It took the whole day to call 100 people. When I would actually connect with someone, they would want to talk for a while, which was great! I enjoy talking to people on the phone, especially when it’s about a topic I’m passionate about. The list was just very long. In your group, select the most tedious tasks and split them up into different parts. Let everyone pick who they want to call or let them choose what part of the project they would like to complete. When you outsource tasks, any project can become a better quality project. I did finish the phone calls. Luckily, I have a bubbly friend who is also passionate about our program and she called some of the people on my list. I wrote a script so I could just read what I wanted to say. This helped me to multitask while making calls. My committee began planning this particular event in February, so we would have had plenty of time to plan out tedious tasks such as calling and advertising. We could have all blocked out one or two hours this week or the week before to be sure we had some time open to calling. The main thing to remember when being “not busy” is to help one another. Everyone is busy, so help each other. Make the time you need to complete your share of the project or program. I’ve given a work or volunteer example, but this can also be applied to your family setting and time spent with your spouse, partner and/or kids. Even those pets need some of your time! Keep this in mind. An hour is only 4% of your day. Can you sacrifice 4% of your entire day for some playtime with the kids or a tedious task from a fellow committee member? You DO have the time. It just gets away from you and then it’s lost. You can make better use of your time and be not busy. I’m going to work on not telling people I’m too busy. Here are three ways I will practice being not busy. Seriously, this works great! I have my day planner and I use it religiously. I also have a big pad of lined notebook pages where I map out the day with a list of tasks. I have been trying to make a list for the week on Sunday nights, but IF this list does not get accomplished, I complete a list for the day first thing in the morning. This really helps me know what needs to be completed and what really doesn’t. If we as human beings did not communicate, we would all just be walking zombies. Alone and dead. In the dark. Relationships and communications keep us alive and motivated! And on target! In my own marriage, both of us are busy people with busy schedules. We communicate several times per day by phone, email, text, and face to face. Communicating keeps us on track and allows for us to make sure things get done and we have more free time to spend with our farm and our daughter. 3. Use your timer or alarm clock. I use my iPhone 6 alarm clock and timer app to keep track of the time I spend on task. Incorporating a list of timed tasks along with support from your partner, spouse, bestie, etc., is the key to success. Social media and technology allows us to be so much more efficient with our tasks. Efficiency allows for more time to spend on ourselves and with our loved ones, which is one things we all want. You are not busy. You are living your life and you have more than enough time! All you have to do is find it. 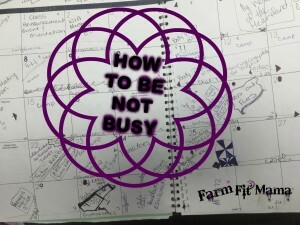 How do you practice being “Not Busy”. OOOHHH! Good question. I think in the world we live in EVERYONE is busy. We want everything yesterday or last week. It is so fast-paced. I wish everyone would just slow down and enjoy the moments. They pass too quickly. Absolutely! I just celebrated my daughter’s 2nd birthday! I can’t believe it’s been two years. Time has flown so fast. I’m glad I decided to start her in Parent-Tot gymnastics. It’s a way for just the two of us to play together each week. So much fun and so many memories! It’s always important to make time. Betty, lists really help me to stay on task and I LOVE crossing things off my list! Makes me feel like I accomplished something. I always remind myself that we all have the same 24 hours in the day. I actually really like to be busy so I try not to get too stressed when I’m extra busy. That is true, Aubrey! We do! It’s how we choose to use the time that’s given to us. Thanks for the comment! I love this: you are not busy. You are living your life. YES! When people tell me they are too busy for x, I tell them it’s a choice. I choose to be intentional and what things are important enough for me to do! Love your tips! Absolutely, Ashley! Everyone has the same amount of time and it is their choice how they use their time. Sounds like you are on the right track! Thanks for the comment! Good stuff! I feel like I’m overwhelmingly busy every day. I really love your tip on timing tasks. That is one thing I don’t do very well, but I know would help me to optimize my time each day. I hate feeling like I’m too busy to “stop and smell the roses.” I’m going to start incorporating some of these ideas into my daily routine which will hopefully help me to not feel so busy. Thanks for the inspiration! Thanks for reading, Joscelyn! I hope my tips will help you to be able to enjoy your life the way you want to! These are great tips. I totally love the shift in attitude from “too busy” to “not busy”. Thanks! I am tired of being told, “I’m too busy”, and I’ve been hearing it a lot lately. Those three words have given me a lot of inspiration lately on how NOT to be based on how I feel when I hear them. I love the use a time clock or alarm. This has helped me so much! List have as well! I’m busy as is everyone else and it’s the only way to stay on target and not spend to much time on something! That’s right, Dana. I’m glad you have used some of these tips to improve your time and enjoy your life! Keep it up! What a great post. I love the 4% idea. Some very good tips here may we all take the time for others and to stop and smell the roses. Thanks, Kathleen! I’m going to focus on doing more for others with my free time. It’s amazing how much free time you build when you spend your time wisely! These are great tips, I especially love the first one you mentioned, remember that everyone is busy. So true! We all have things going on and everyone’s time is valuable. A lot of your points are really part of people taking responsibility rather than shifting it to another! A timer is a great idea. I find that I also need to make myself do one thing at a time. I get much more accomplished when I do that. When I make myself work until one task is finished, not getting side-tracked my million other nagging tasks, I feel a lot better too. I completely agree with your comment, Jennifer! I tend to try to multitask to much, but I do find that I get more accomplished by doing just one thing until it is completed. When I made all those calls the other day, I focused on that alone and it took me most of the day. It was a tedious task that needed finished in a timely manner with my full attention. We are all so busy and we all need to remembering what’s important. Time management and priorities are the key to having extra time to do things you want to do. Thanks for the comment and good luck to ya!! I was just in church last Sunday and the sermon was “If you want to live as God wants you to live, eliminate hurry from your life.” I’m definitely guilty of doing everything super rushed and it sometimes feels like I don’t even have an option not to hurry – way too many deadlines! Thanks for sharing this post – great to think about. Absolutely!! God gave us all 24 hours to have each day. It is OUR responsibility to use that time to live the life we want. Saying we are too busy is our own fault. It’s just an excuse. Those who are too busy need to reevaluate their time. There’s ways around it. 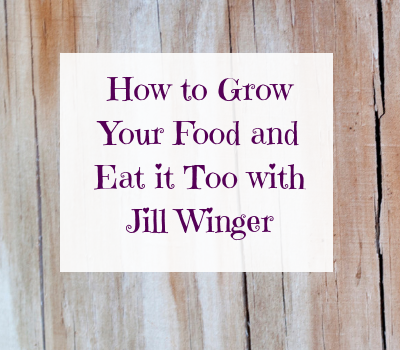 Thanks so much for the wonderful comment and thank you for reading my post! I would have flipped the script on her and told her that I only have x amount of hours to make the calls and who did she want me to eliminate calling or perhaps she can find me some help to divide the calls up. It is possible to set boundaries regarding the importance of your time without getting nasty (even though sometimes you really want to). I agree with making lists and staying organized. I use my time on the weekend preparing for the week in many ways, which also helps. That’s great, Jennifer! That’s what I’m talking about! Thank you, Kristin! You are so right! It is a mind set. I know I need to be better about saying no to certain things or not taking on as much. I appreciate your response. Thank you so much, sacha! I appreciate it! You are so right. It is almost a slap in the face when someone says they are too busy to help you and they sit on the same committee. I have had this happen to me as well. I like the timer thing. I am going to have to try that. How I usually deal is get completely stressed out and don’t get anything accomplished….lol. Not a good way to deal. Using a planner and setting certain times each day for things is really the best way to make time. Also, spreading tasks you have more time for over a few days. I think when people say they are too busy it is often an excuse. I think so, too, Marette. I love making lists for the day and then being able to cross things off. It makes me feel like I have so much more time. This is something I’m currently working on and honestly, always working on! I make sure to schedule out me time everyday. Some days its longer than others but it’s a must to be able to take a step back and just breathe! Definitely! Yesterday was my first day home with two kids and boy, was it a busy one. 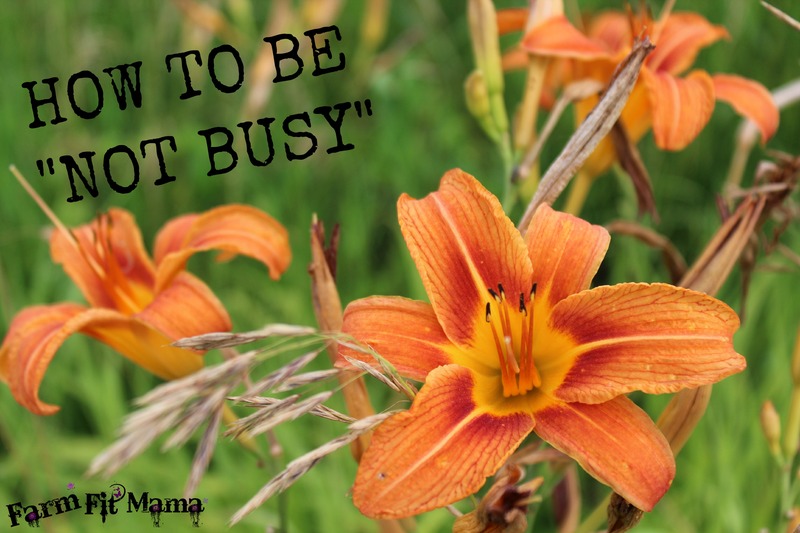 But, I can’t just tell my older child I’m too busy. I have to make time for her as well. Prioritizing tasks is HUGE, whether in a situation like yours or just in general. 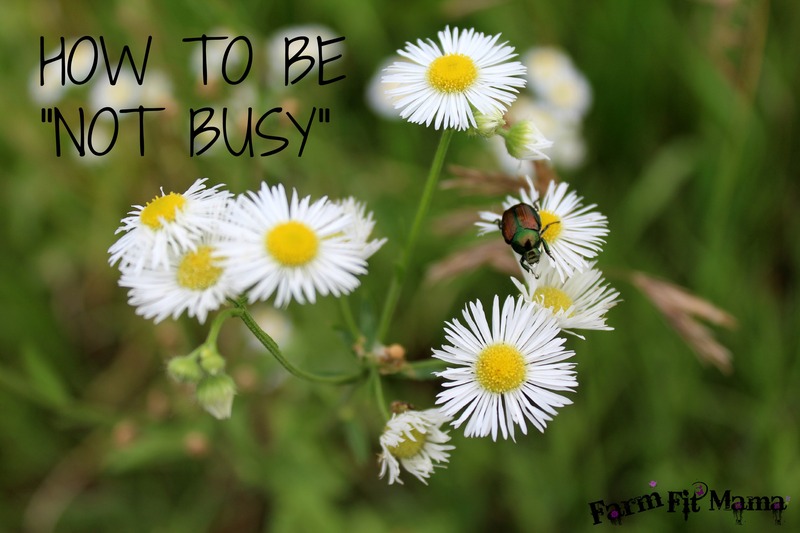 It’s easy to always feel like we’re busier than everyone else, but it just comes down to how we best use our times! Exactly right, Katie! That time is a precious gift. It’s all about using it wisely.